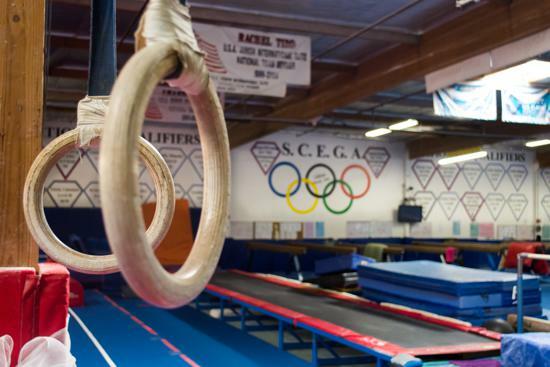 The latest gymnastics equipment for all levels of gymnastics from toddlers to competitive. Huge foam pits providing both safety and fun! 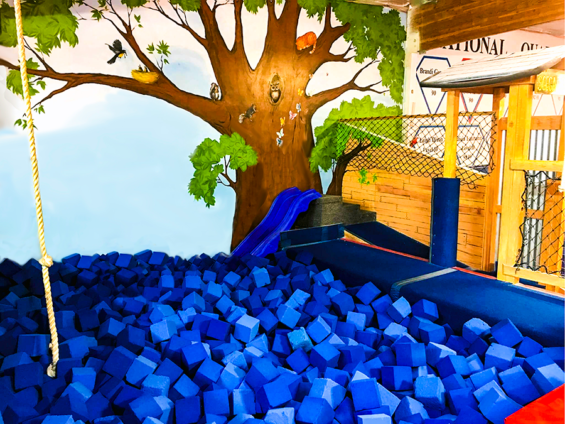 A Tree House with trampolines, foam pit, slides and ropes and tunnel! Spacious viewing rooms providing the ability to view all age classes. 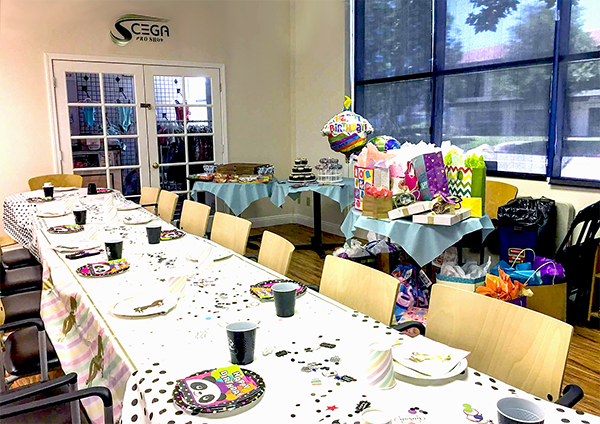 The SCEGA Pro-Shop offering snacks, drinks and all your gymnastics apparel needs. Free WIFI throughout our facility for complete internet access.